Russian interference in our elections is a serious and controversial issue that has resulted in 35 indictments or guilty pleas. President Donald Trump has called the investigation a “witch hunt,” and it is a highly divisive issue. It is important to understand what is happening, how the investigation started, who has been impacted by the investigation and what might happen next. The U.S. Intelligence Community has been investigating Russian interference in the 2016 presidential election for a long time. In a declassified document released in Jan. 6, 2017, officials from the FBI, CIA and NSA document the Russian attempts to interfere. In the U.S. Intelligence Community, it is widely accepted that the Russians tried to interfere in the 2016 election. The Russia investigation is looking at whether or not the Trump campaign knowingly colluded with the Russian government. Who is in charge of the investigation? Robert Mueller was appointed Special Counsel for the Russian investigation by Deputy Attorney General Rod Rosenstein on May 17, 2017. Normally the Attorney General would be the person to appoint the Special Counsel, but the current Attorney General Jeff Sessions recused himself from the investigation due to his connections with the Trump campaign. The responsibility fell to Mr. Rosenstein instead. Mr. Rosenstein chose Robert Mueller. 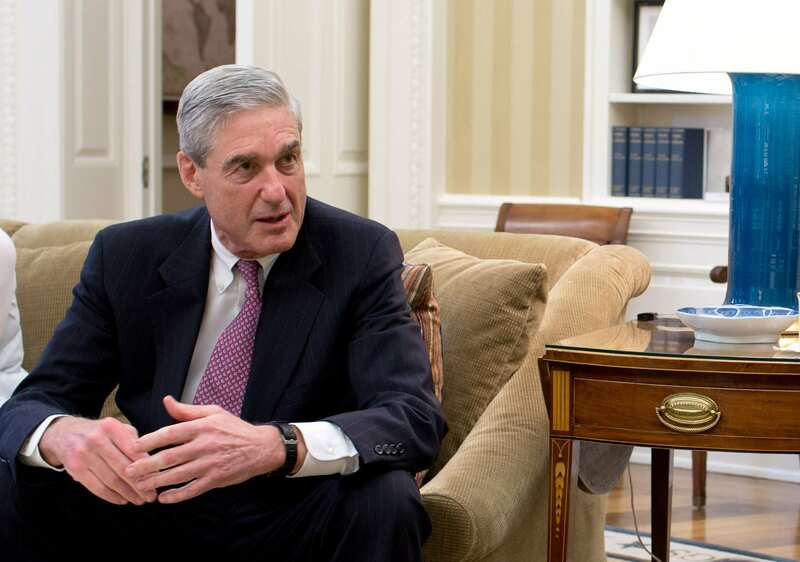 Special Counsel Mueller is the former head of the FBI who is well-respected and is a registered Republican. As of Sept. 25, Mr. Rosenstein is set to meet with President Trump on Thursday, and there is a chance he will be fired. If Mr. Rosenstein is fired, the person who would have the power to fire Special Counsel Mueller would be Noel Francisco (the Solicitor General). For more information about Mr. Francisco, see this article from Vox. That was just a few days after the New York Times reported that Mr. Rosenstein had suggested secretly recording President Trump and invoking the 25th Amendment which would remove President Trump from office if the Vice President and the majority of the Cabinet determine the president “is unable to discharge the powers and duties of his office.” Mr. Rosenstein has denied these allegations and is meeting with President Trump on Thursday, according to White House Press Secretary Sarah Sanders. Adam Schiff, a California congressman and the ranking member on the House Intelligence Committee, has come out in support of Mr. Rosenstein and believes he should keep his role as Deputy Attorney General. What potential crimes were committed? As of Sept. 19, 2018, Special Counsel Mueller has indicted or received guilty pleas from 32 people and three companies that are related to the Russia investigation. Some of the more notable people who have been indicted or who pleaded guilty include President Trump’s former campaign manager Paul Manafort and his former National Security Adviser Michael Flynn. Both of these men have agreed to cooperate with the investigation in exchange for plea deals. The biggest portion of this list is Russian nationals and Russian GRU (the Russian military foreign intelligence agency) officers. The crimes being charged include making false statements to the FBI, identity theft, conspiracy against the United States and more. Essentially collusion by itself is not a crime; but it often accompanies a crime, and that is what Special Counsel Mueller is investigating. In an article from Politico, Paul Rosenzweig, who was the deputy assistant for policy in the Department of Homeland Security, explained: “Collusion is not a federal crime (except in the unique case of federal antitrust law), so we should all just stop using ‘collusion’ as a short-hand for criminality. But that doesn’t mean that the alleged cooperation between the Trump campaign and Russia is of no criminal interest. To the contrary, if true, it may have violated any number of criminal prohibitions.” In addition, assuming a crime was committed, that likely involves a cover-up, and it is important to remember what caused President Richard Nixon to be threatened with impeachment was not the crime itself but the cover-up. How could this investigation affect President Trump? If President Trump illegally conspired with a foreign power while running for president, it’s unclear what consequences he might face. First off, according to Rudy Giuliani (President Trump’s personal attorney and former mayor of New York), Special Counsel Mueller has said he would not indict a sitting president. Assuming this is true, President Trump does not have to worry about criminal charges, for now. But if he is impeached or voted out of office, which is a real possibility if the investigation finds President Trump committed a crime, then he could be criminally charged. The Russia investigation is a serious and complex investigation that could bring down the Trump administration. President Trump frequently has called the investigation a witch hunt. He has tweeted the word “witch hunt” 127 times from May 17, 2017 (the day the Mueller investigation started) to Sept. 25, 2018, according to the Trump Twitter Archive. However, the investigation has already received 35 indictments or guilty pleas.